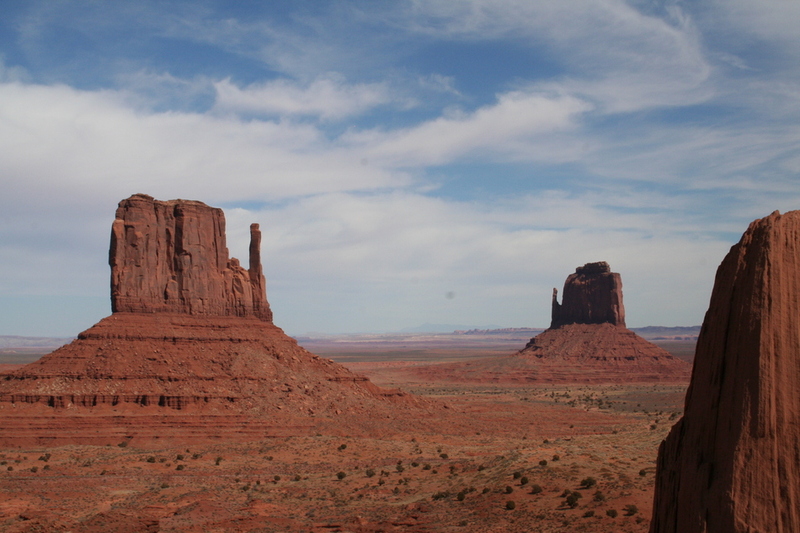 Monument Valley is one of the most photographed landscapes in the world. 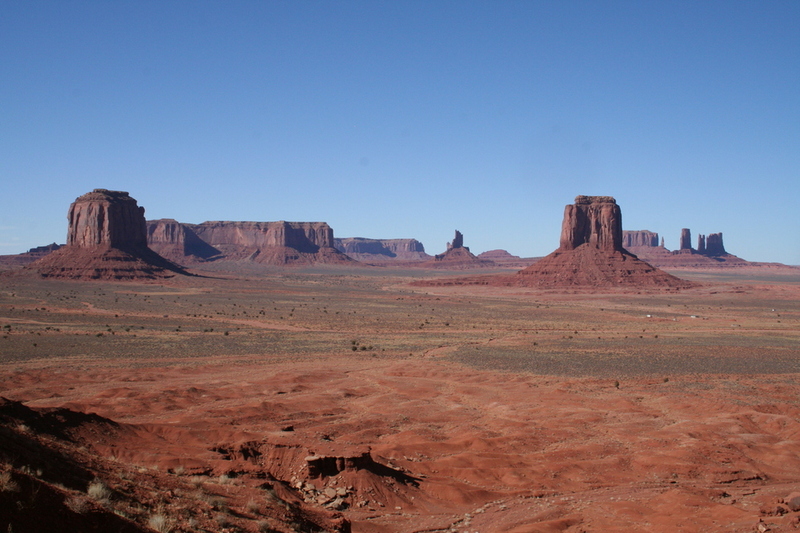 For 80 years this area has served as a backdrop to the quintessential western movie. 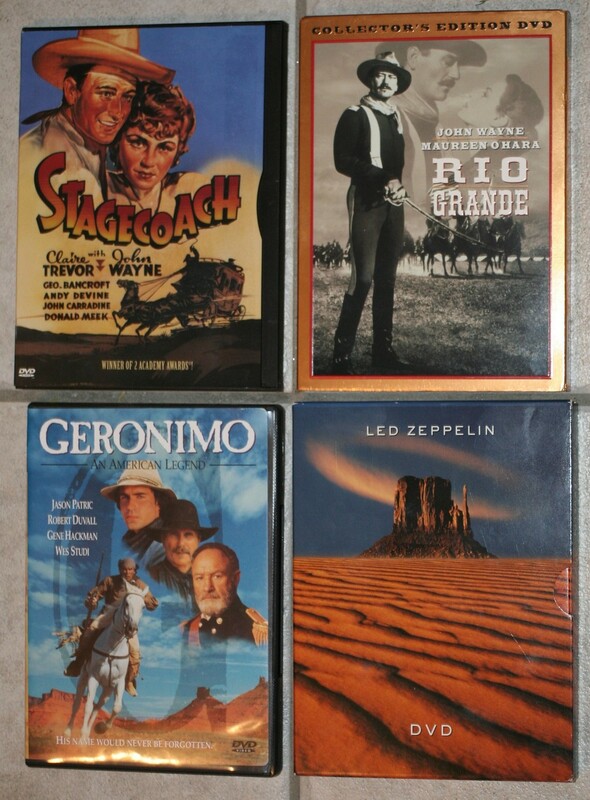 It has become what we expect the "old west" to look like. Perhaps this is why this destination attracts so many foreign visitors? 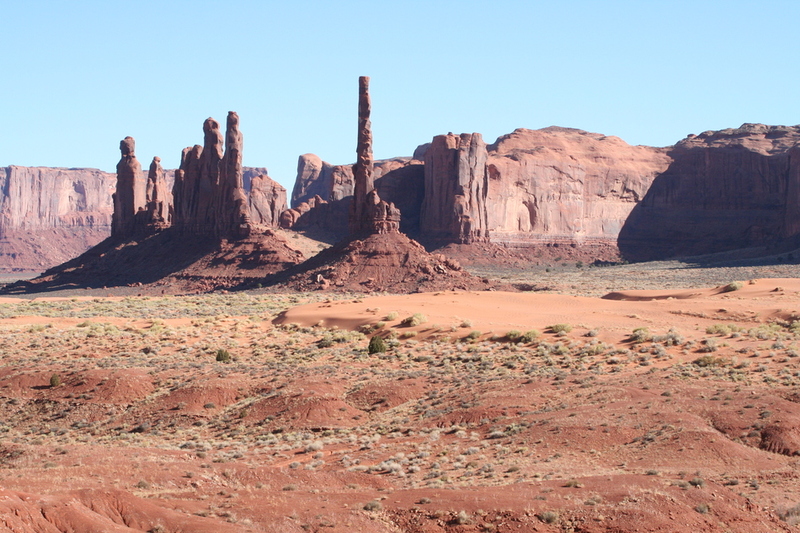 The valley is still a traditional Navajo homeland and is now only accessible by private vehicle and guided tours on designated primitive roads. 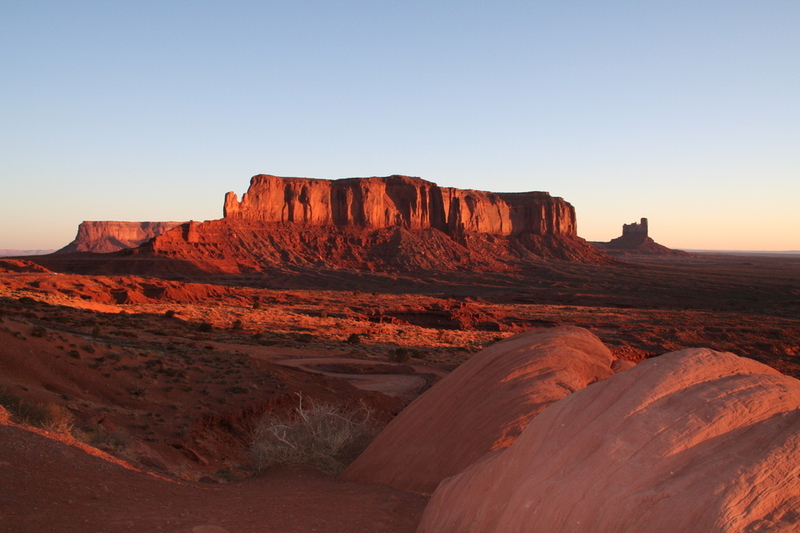 Horseback tours are also available, but no backcountry hiking or biking is allowed. 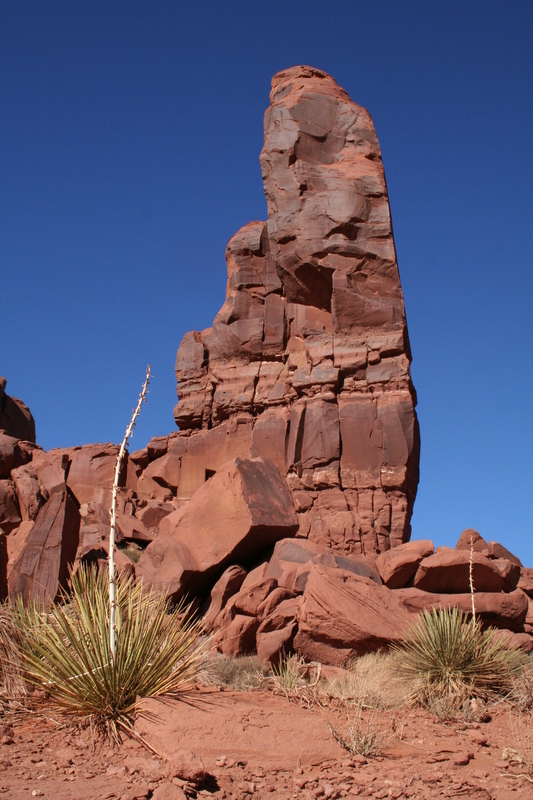 "Hiking" is restricted to designated loop trails near the numerous stops along the primitive road. 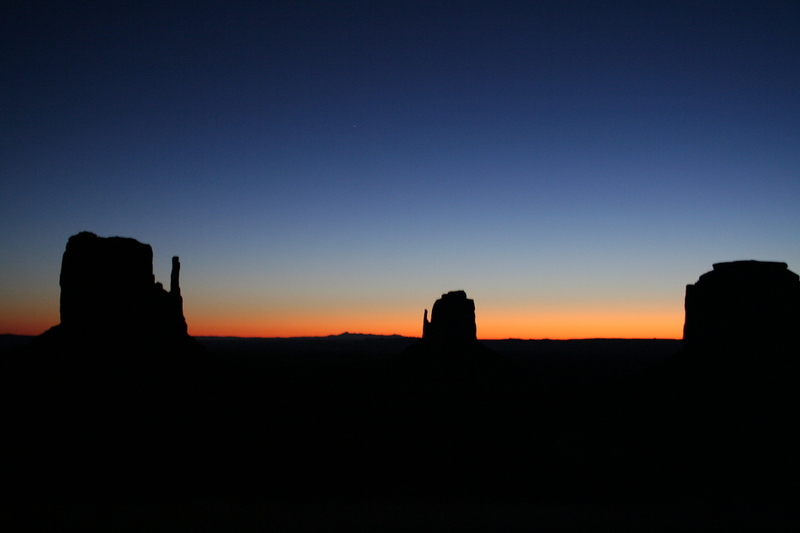 Mike and I wake up well before dawn to capture the morning sunrise near the Monument Valley Visitor's Center. The thermometer at the Visitor's Center reads on 27 degrees F on this late February morning. Too bad the Visitor Center and entrance to valley drive doesn't open until 8:00 am... sure could have used a warm-up coffee! 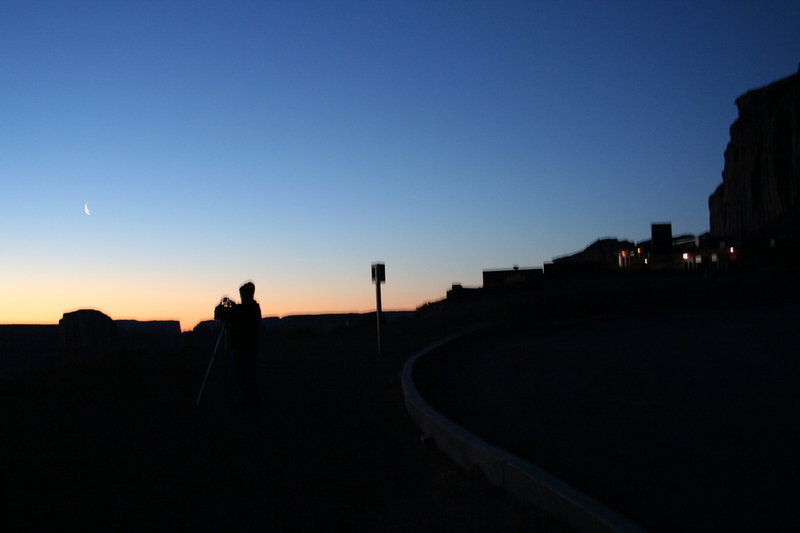 With our sunrise photos taken, we head back to our "base-camp" at Goulding's Lodge for a hearty breakfast prior to meeting up with Rosie, our Navajo Guide for the day. Our 4WD vehicle pulls up to the lodge and takes on its five passengers - Mike and his wife Sandy, along with a couple visiting from Windsor England, Philip and Marilyn. 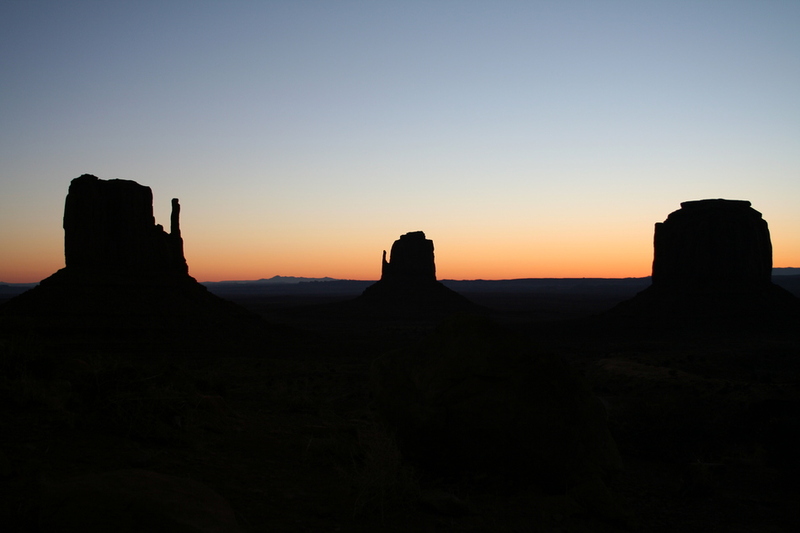 As we leave Goulding's Lodge we are greeted with a classic horizon view that includes (from L to R) Eagle Mesa, King on the Throne, Stagecoach Butte, Bear & Rabbit, Big Indian, and Sentinel Mesa. 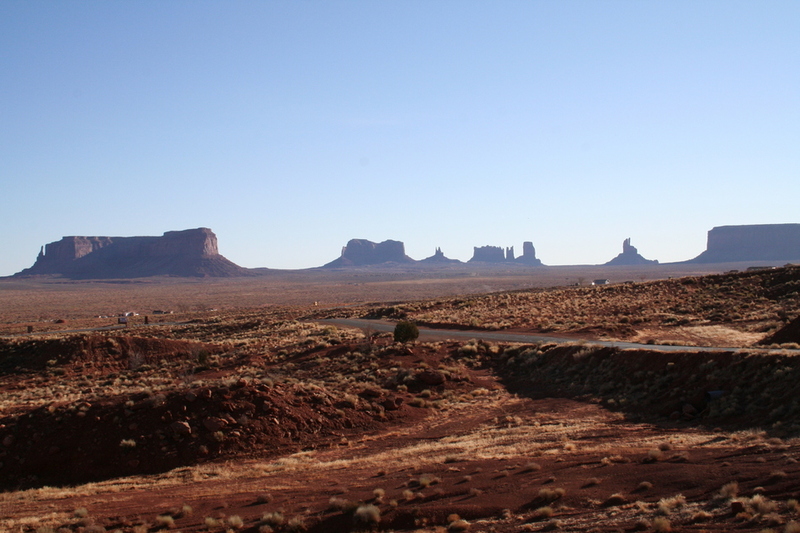 We cross over Hwy 163 and head east up Monument Valley Road towards the Visitor's Center. To the south we view Mitchell Butte and Gray Wiskers Butte. 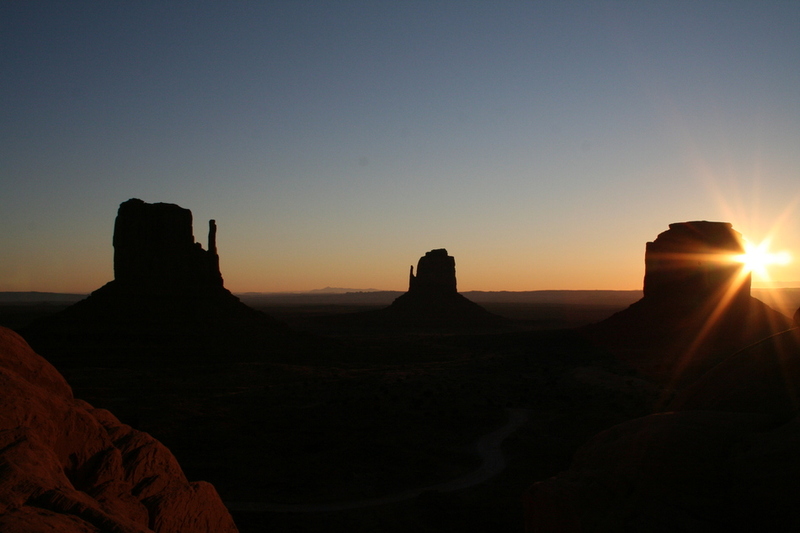 At the Visitor's Center some of the classic views of Monument Valley from Lookout Point are obtained. 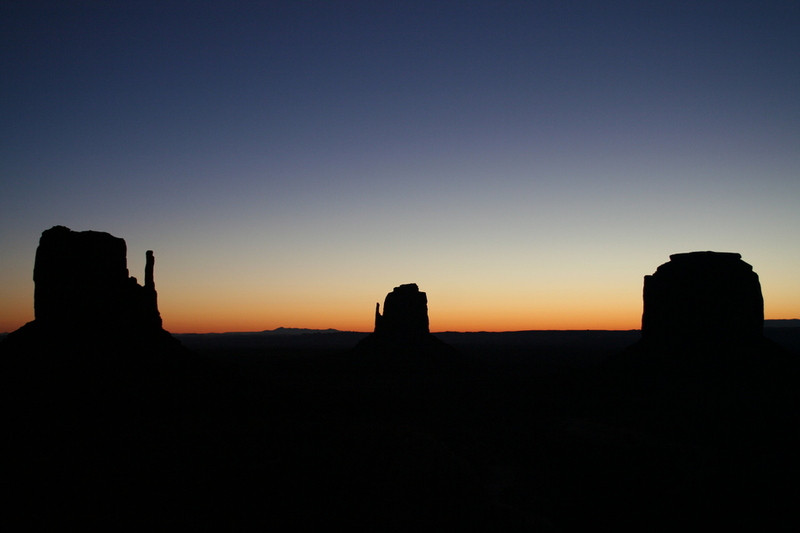 The West & East Mittens are prominent from this vantage. 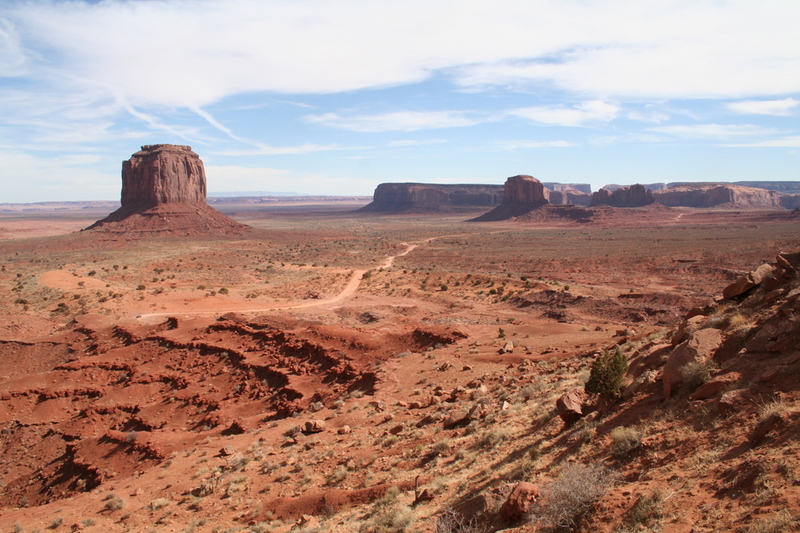 Merrick Butte, Elephant Butte, and Camel Butte can be seen on the left side of the primitive road. We soon make our way along the dusty, bumpy, but incredibly beautiful route. We stop to take in the view of the Mittens and Merrick Butte from the south. 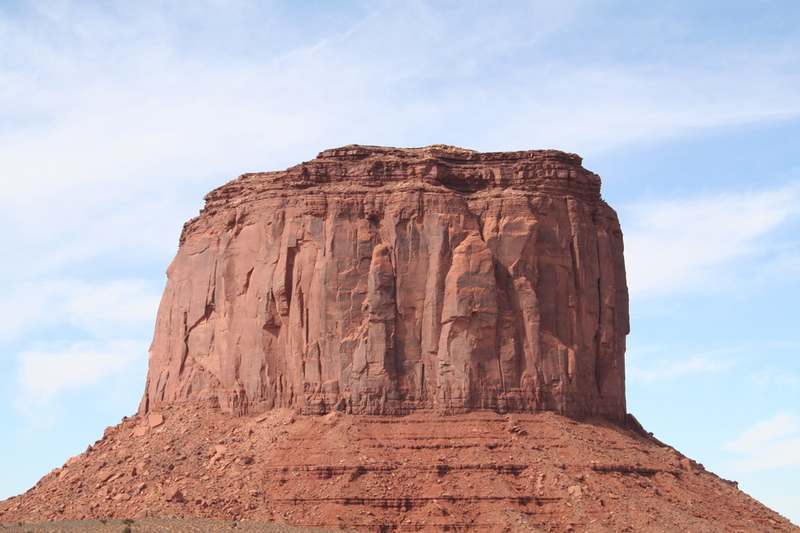 Our Navajo Guide, Rosie, elaborates that Merrick Butte has been featured in some recent movie scenes such as Mission Impossible and Cliff Hanger as well some automobile television commercials and music videos. She also mentions that remains of an ancient Hogan were discovered on the top of Merrick Butte during the filming of the commercials. Foot holds used by the ancients to access the Hogan were also discovered during the filming of Cliff Hanger by the climbers rappelling up and down the sandstone cliff face. Next destination is John Ford Point, named after the famous western movie director who made a star out of the actor John Wayne. 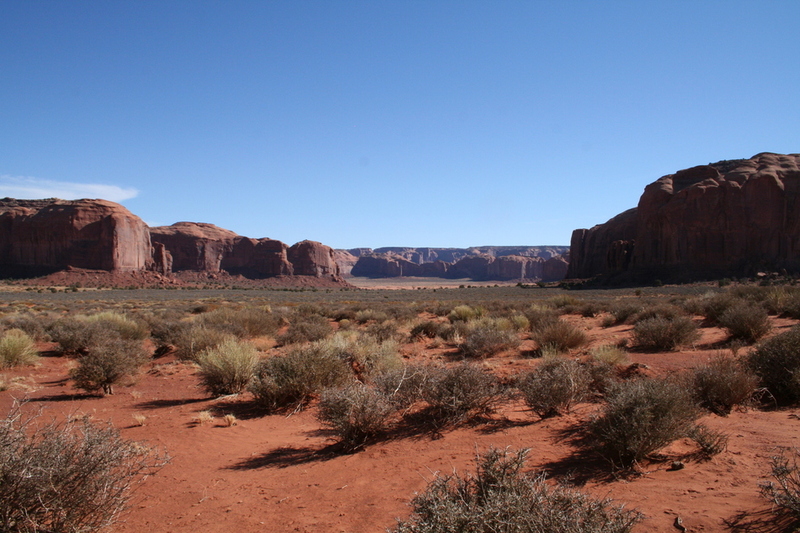 The point was frequently used to position cameras capturing the wide open spaces made famous in movies such as "Stage Coach" and "Rio Grande". From the point there's also an interesting view of the camel head from Camel Butte. We hop back into our 4WD vehicle for a 1 1/2 mile drive to the North Window. A short walk-about yields views of The Thumb and The Three Sisters. To the south Spearhead Mesa and Rain God Mesa can be seen. 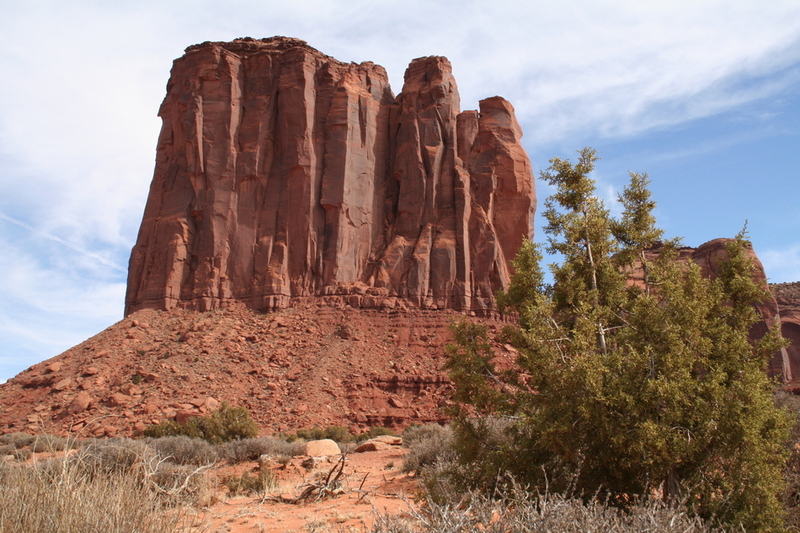 We move on to Artists Point followed by Sand Spring and Gypsum Creek to view the famous Totem Pole and Yei bi Chei. 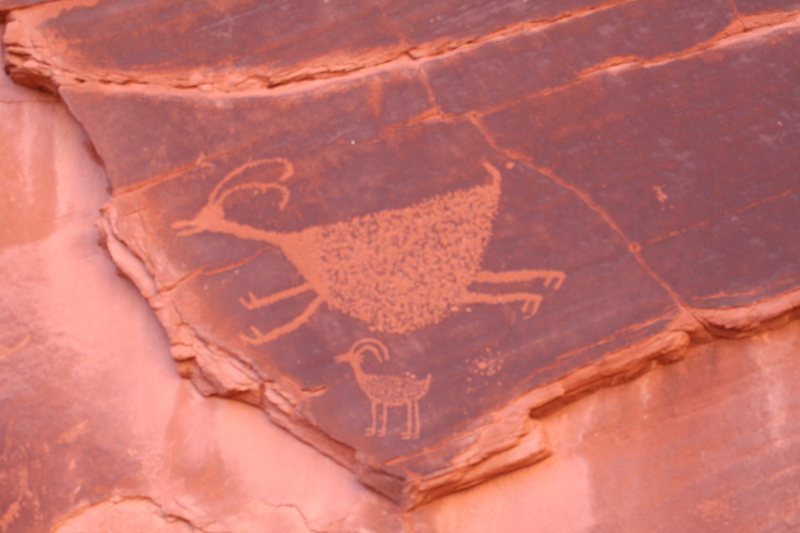 Near God's Eye Arch, Rosie shows us a petroglyph panel. 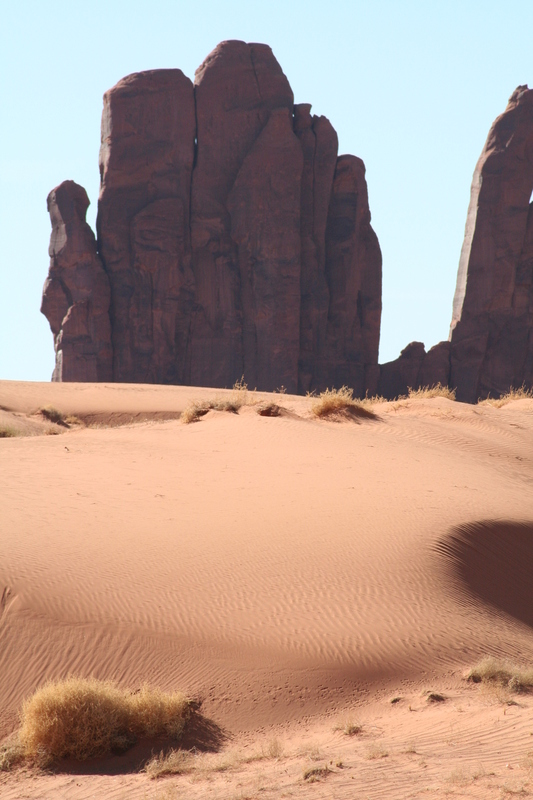 A challenging walk up a sand dune takes us to Ear-of-the-Wind Arch. 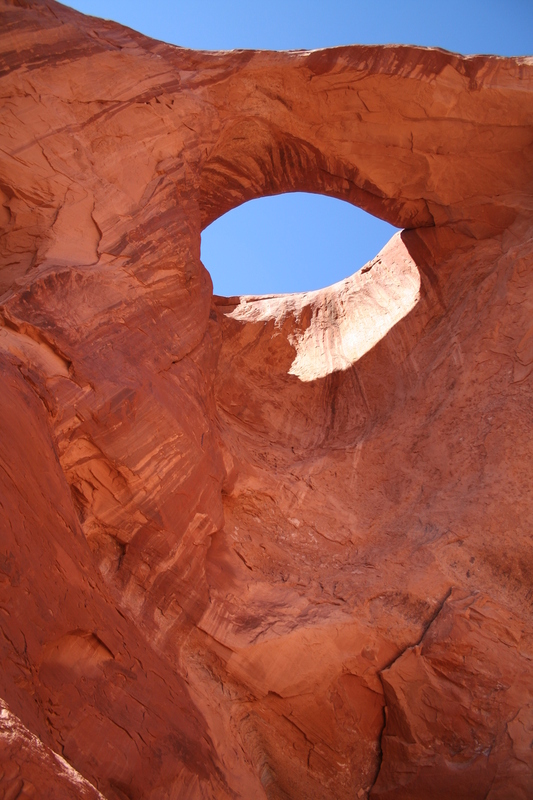 I discover after-the-fact that it is possible to walk beyond Ear-of-the-Wind Arch to another set of Anasazi ruins called Echo Cave Ruins. 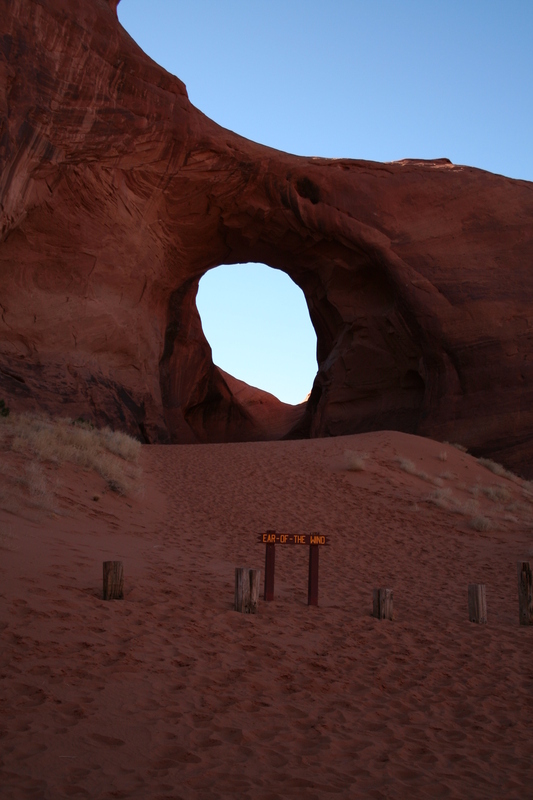 With the sun beginning to get low, we stop briefly to view Sun's Eye Arch, Donut Arch, and others. The ride back along the primitive road is particularly dusty as it seems we've hit rush hour traffic. The gates of the Visitor's Center close promptly at 5:00 pm and this causes everyone visiting the valley to all leave together trying to extract maximum viewing time! 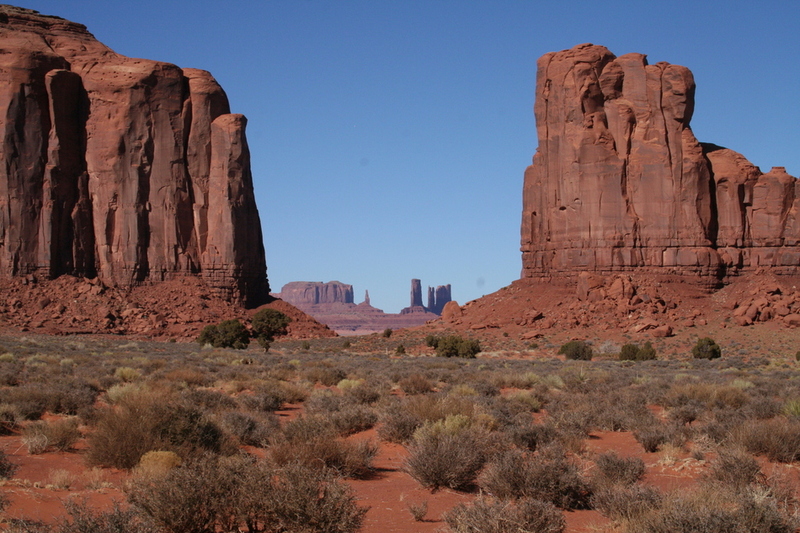 Note that Monument Valley is located on Navajo Lands. 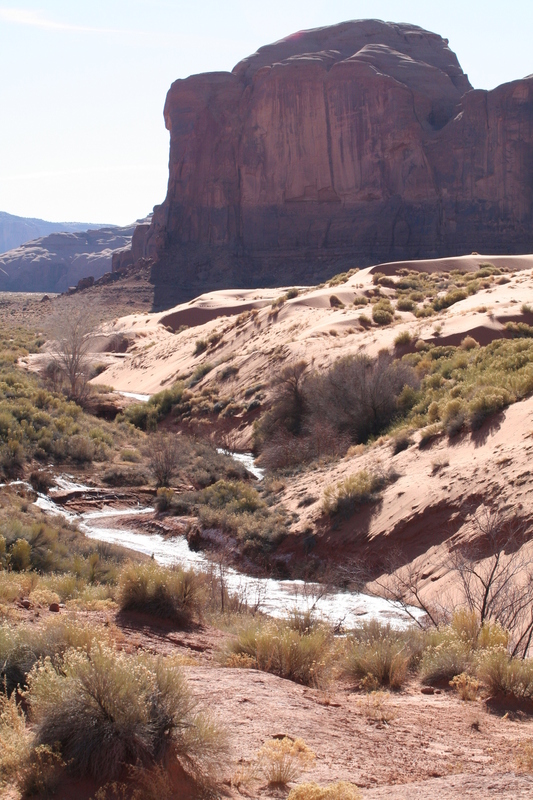 There is a self-guided loop on a primitive road, but Navajo Guides have access privileges to many restricted areas. I personally found these restricted areas more interesting than the general access areas. 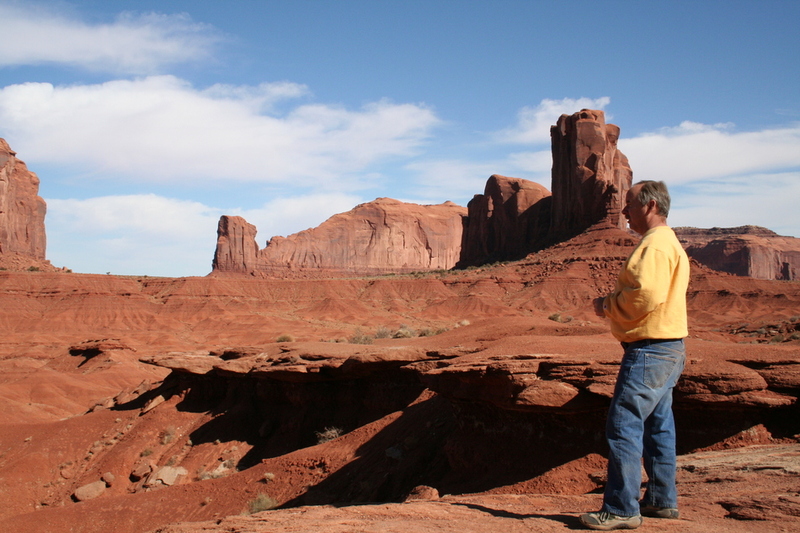 There are numerous, professionally run companies providing registered Navajo Guides at a reasonable cost. Winter is off-season and prices are at their lowest. Visiting tourists are also at their lowest numbers. Goulding's Lodge is a personal favorite and can be reached at 435-727-3231 or www.gouldings.com. Their winter 2006 rate of $225 for 2 nights, 2 people, plus an all day, 8+ hour tour/hike of Mystery Valley and Monument Valley is well worth the price. 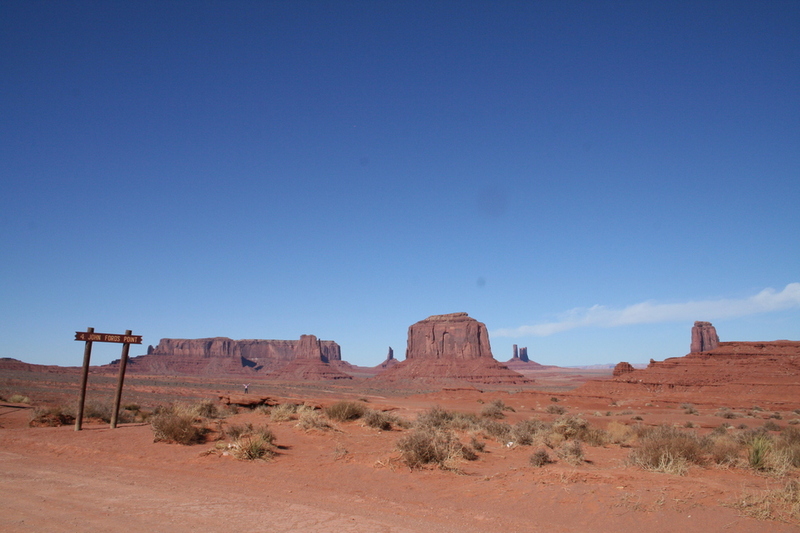 Apologize for the shameless plug, but one has to experience these famous landmarks at least once in their lifetime. 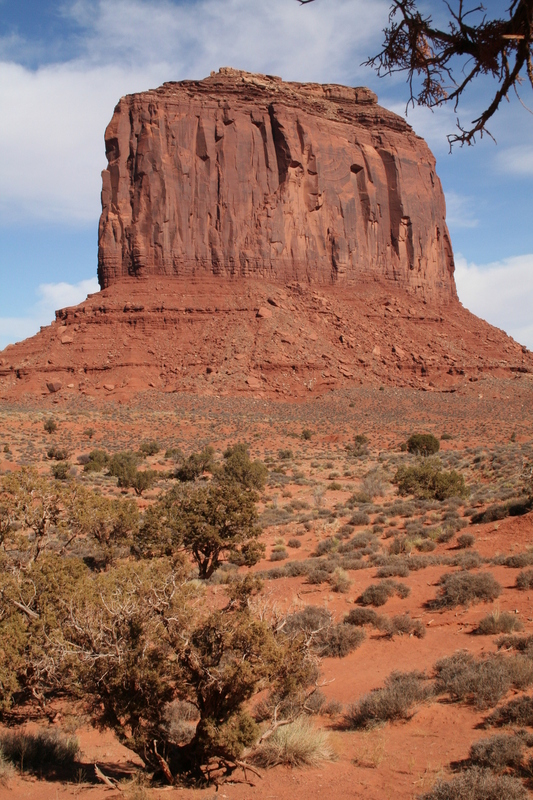 My GPS indicated that we traveled 30.7 miles from Goulding's Lodge through Monument Valley and back to the lodge. With numerous stops to explore and take in the views, covered almost 2 of those miles on foot. Enjoy! From Phoenix: Take Hwy I-17 north 146 miles to Flagstaff. From Flagstaff, take Hwy 89 north towards Page. Travel 62 miles along Hwy 89 until the junction with Hwy 160. 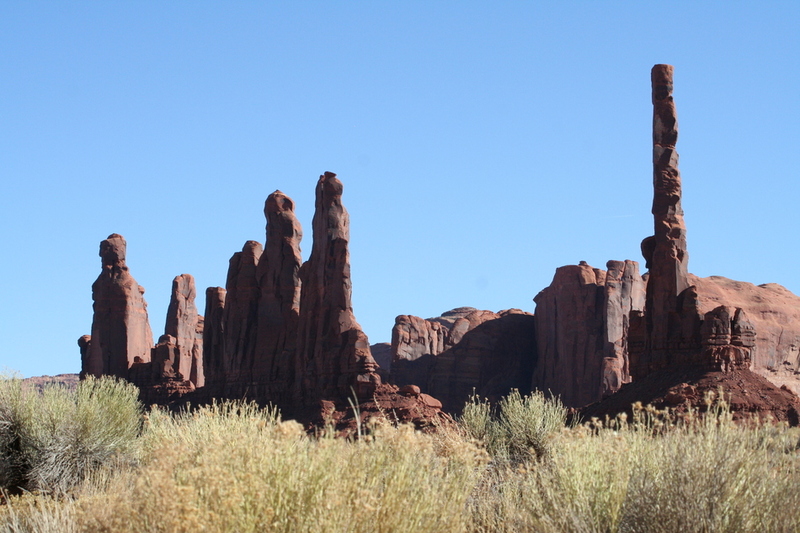 Take Hwy 160 east towards Tuba City and travel 82 miles until you reach Kayenta. 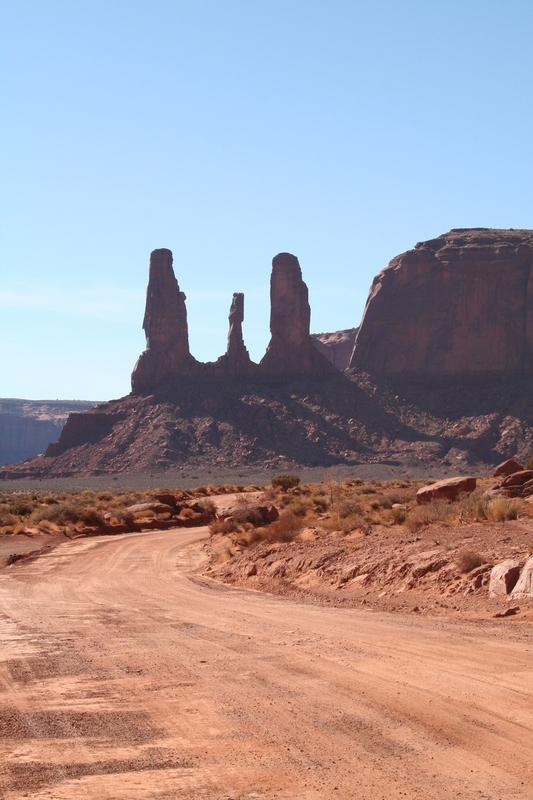 From Kayenta, take Hwy 163 north 23.6 miles to the intersection with Monument Valley Road (GPS coordinates 37o 00.246'N, 110o 10.403'W). 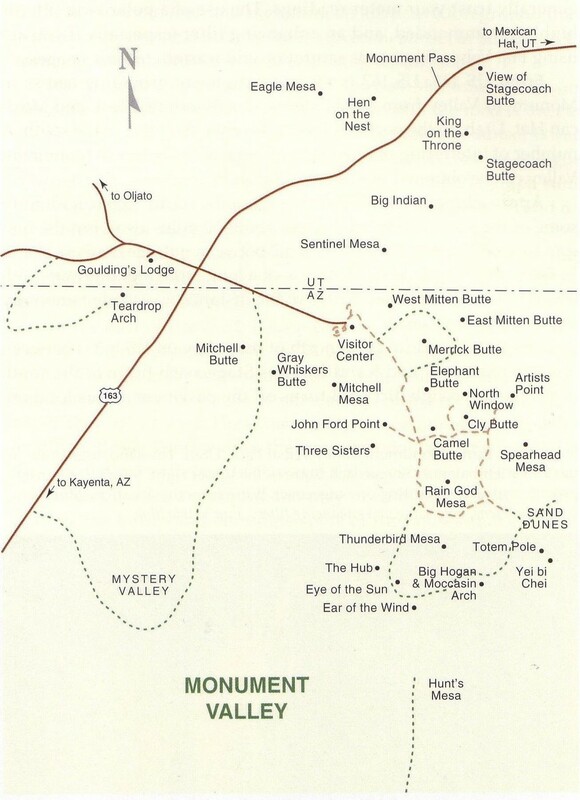 Travel 1.6 miles west along Monument Valley Road until you reach Goulding's Lodge located on the south side of the road at the foot of Rock Door Mesa. 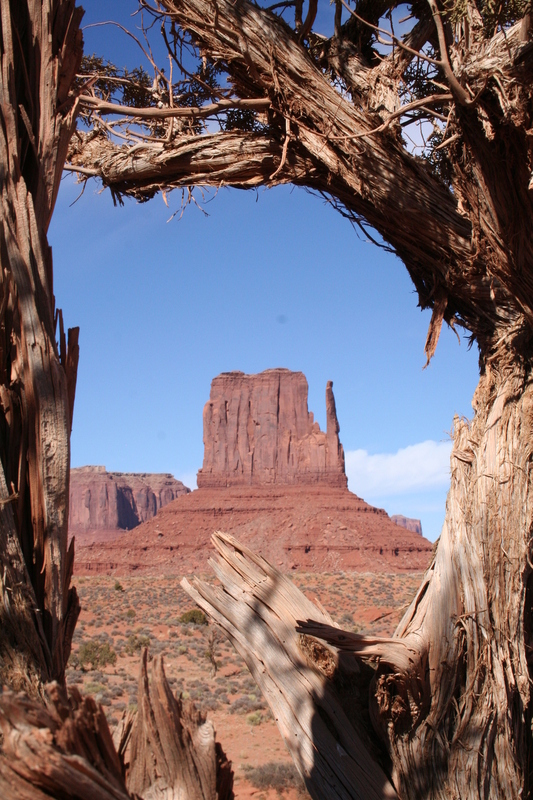 My GPS noted 335 miles traveled from my home in Ahwatukee to Goulding's Lodge in Monument Valley Utah. Travel time was just over 7 hours. 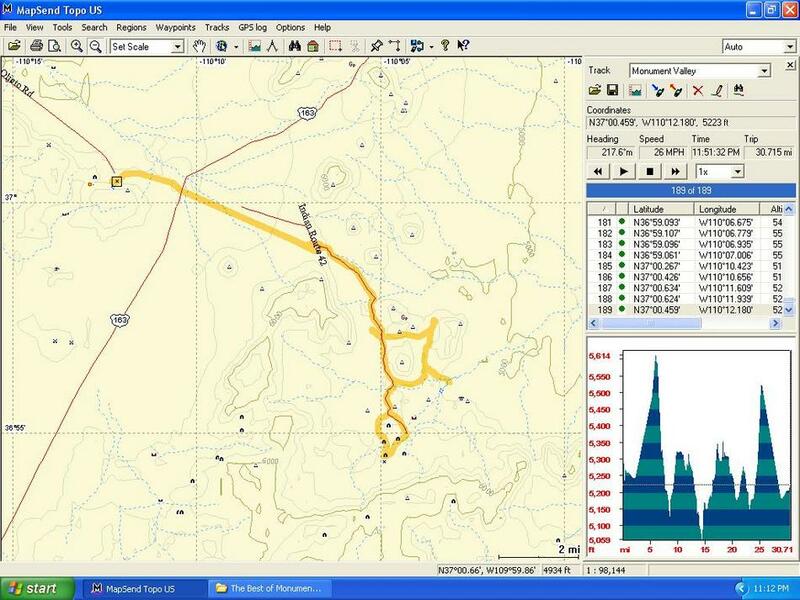 GPS coordinates for Goulding's Lodge trailhead are 37o 00.453'N, 110o 12.193'W.